Nate served as an enlisted soldier in Operation Desert Shield/Storm and as he walked the perimeter one night, he said “Lord if you allow me to make it back, then I’ll never waste a day of my life”. A year after that life changing experience, he entered into the U.S. Military Academy at West Point, NY at age 21. He graduated as the cadet 3rd Regimental Commander and was commissioned as a second lieutenant in 1996 with a degree in Sociology and Computer Science Engineering. In June 1996, Nate experienced another defining moment. It was at this time that he was introduced to the world of personal growth and entrepreneurship via network marketing. The experience exposed him to books, events, and people that laid the foundation for a lifetime of learning. 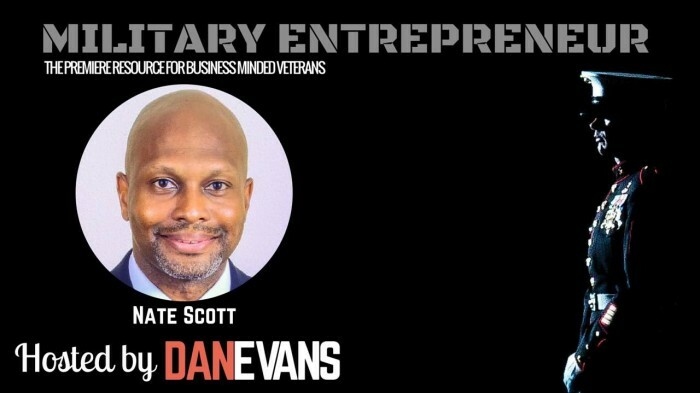 After serving five years as a U.S. Army Infantry Officer and Ranger, he graduated with an MBA in Strategic Management and Finance at George Washington University, Washington, DC in 2002 while working as a defense contractor. He continued to pursue his interest in wealth creation and graduated with an Executive Certificate in Financial Planning from Georgetown University, Washington, DC in 2004. At the age of 32, through the initial real estate investment portfolio he built in 2001, he had a personal net worth of over $1 million dollars and he retired to Jacksonville, FL to accept an opportunity to be a financial advisor with UBS Financial Services. From 2004 to 2006, he was able to accumulate $6.5 million in assets under management before accepting an opportunity to be the Chief Financial Officer (CFO) of a mortgage and real estate technology company. In 2007, at the age of 36, Nate’s personal real estate investment portfolio had commercial and residential properties in Virginia, Maryland, Georgia, and Florida valued at more than $5 million. Then, he faced the greatest test of his life. First, the company that he worked for which was listed #155 on INC500s fastest growing companies closed its doors. Next, tenants in his out of state 40-unit apartment complex started losing their jobs and month by month, he started seeing the cash flow of his real estate portfolio dwindle. For the next 3 years, he was able to survive while trying to stop the bleeding, but it wasn’t enough. Nate found himself on uneven ground, and for the first time since walking the perimeter in the desert, he was unsure if he was going to make it out alive. That’s when he says “you have to accept responsibility, assume a defensive position while stabilizing, keep your head up, and persevere”. In December 2014, he started teaching the “Life Is Rich” principles in small groups called “Circle of 10″. Nate Scott Aims to Educate, Equip & Empower! Nate’s personal mission is to live each day principle-centered based upon biblical teachings and to be a person of value and personal influence. Nate’s goal is to create a $10 million dollar endowment fund to foster personal growth and entrepreneurship.